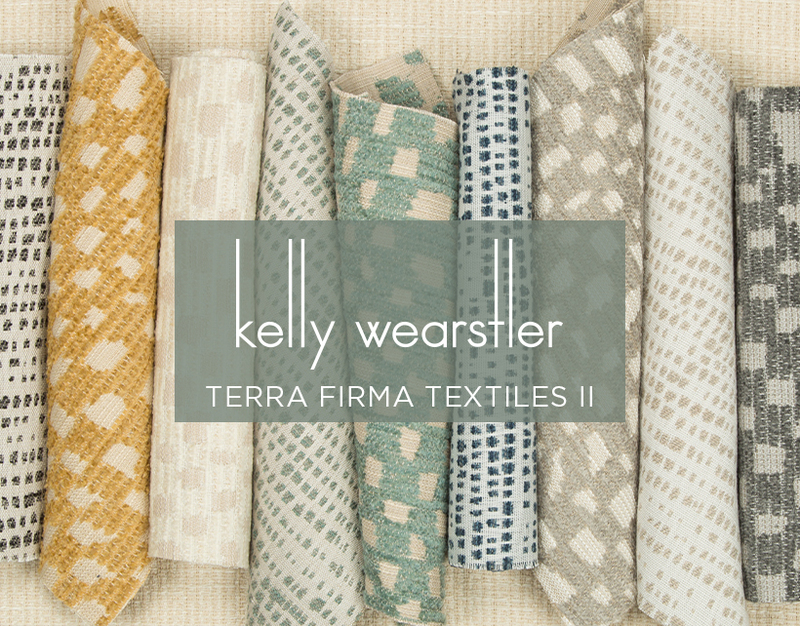 Groundworks at Lee Jofa is excited to introduce a second indoor/outdoor collection of fabric with renowned designer Kelly Wearstler: Terra Firma Textiles II. 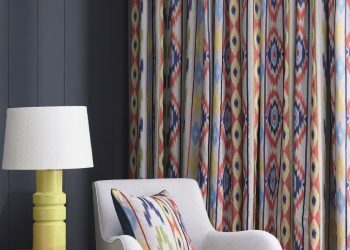 Building off the success of Wearstler’s past collections, this assortment of prints and weaves continues to tell the story of the designer’s trademark style of inventive textiles, many of which are inspired by her collections of vintage fashion and original artwork. 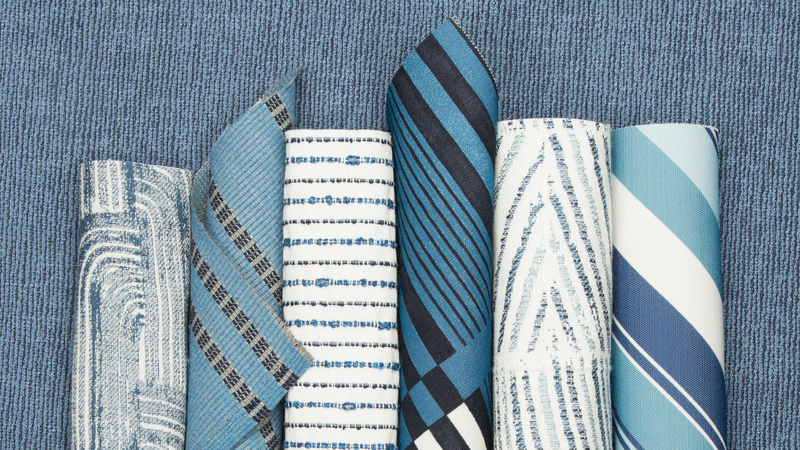 Terra Firma Textiles II fabrics feature performance qualities, including Sunbrella acrylic yarn constructions, making the fabrics durable and equipped to withstand the elements both inside and outside the home – a true reflection of the aptly named collection of sturdy and stylish textiles. We sat down with the legendary designer to find out more about this luxurious new collection! 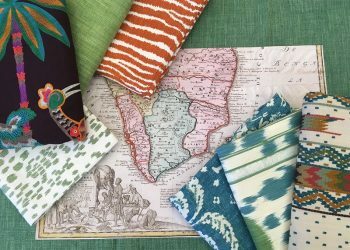 Kravet Inc.: Why was it important to create an indoor/outdoor collection? 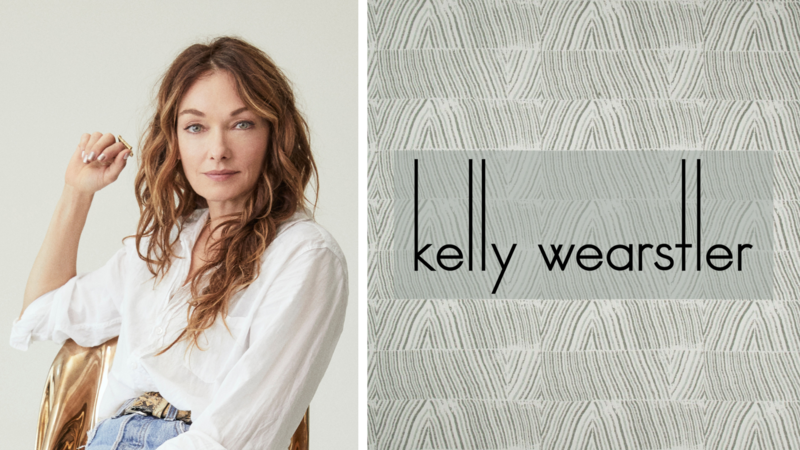 Kelly Wearstler: The vision remains to design outdoor quality fabrics that have the tactile quality and distinctive style and details of an indoor fabric. People continually want to bring durable fabrics indoors that are impervious to wear and stand up to high-traffic environments. K: What about the design and construction of these fabrics makes them stand out from what’s currently on the market? KW: With this collection I wanted to evoke the unaffected luxury and organic beauty found in nature in a versatile array of patterns, colors and textures. Bringing a sense of sophistication and richness to the outdoor market is signature to this collection. K: What was your color inspiration for this collection? 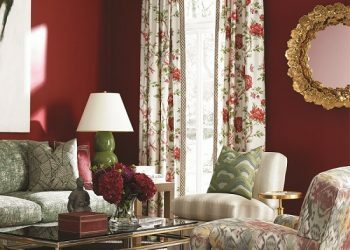 KW: The colors are nature-inspired with consideration for pairing of subtle and bolder hues. K: What are your three favorite patterns from the collection, and what about them are special to you? KW: Crescent Weave: Bold architectural strokes combined with painterly details create dimension, embodying a sense of depth and movement. Zenith: Repetitive architectural lines convey a harmonious dialogue. I love the way the gradations of color accentuate the defined lines. 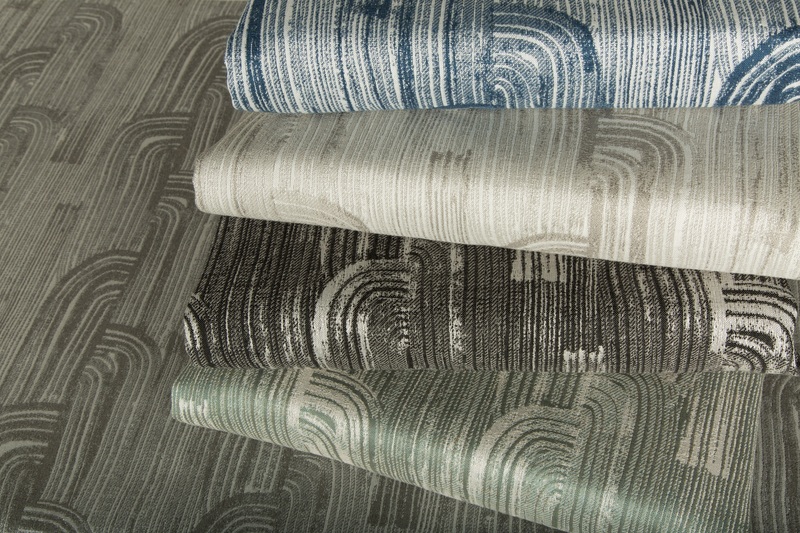 Aiguille: Drawing inspiration from metamorphic rock, the pattern creates its own unique texture. It makes a quiet statement while adding dimension and spirit to any space. K: If you had to describe the collection in 5 words, what would they be? 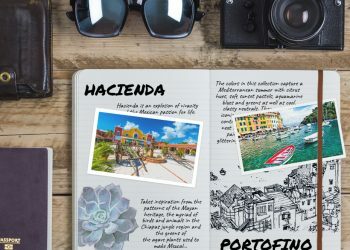 K: Were there any places/locations that inspired your design approach when creating this collection? If not, any particular objects or trends you had in mind when designing? KW: Living and working in Southern California, inherently there is the influence of indoor/outdoor living which so much of the modern California lifestyle is about. The natural beauty of the surrounding California landscape was a huge source of inspiration for this line. 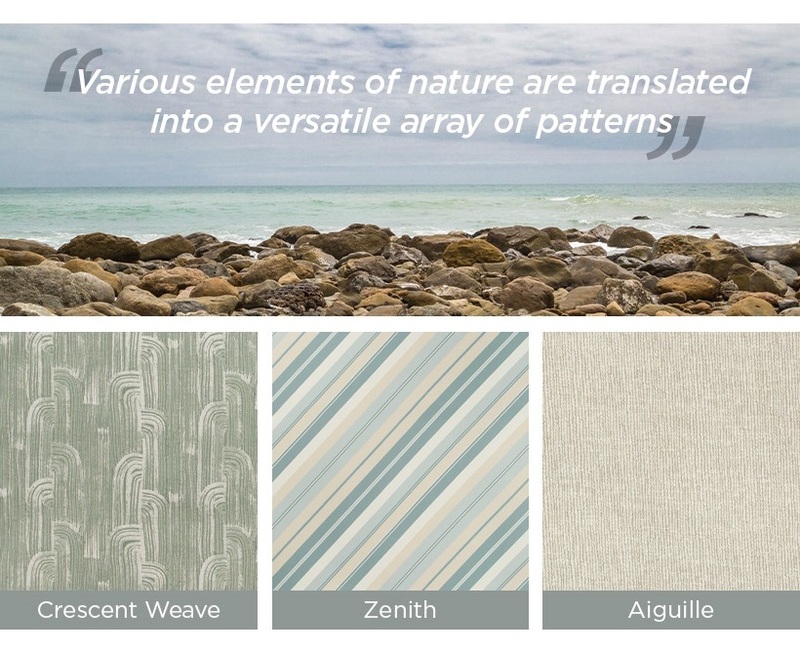 Various elements of nature are translated into a versatile array of patterns. Shop Terra Firma II Textiles here. Shop all Kelly Wearstler here.